ChocoBrews is an ideal mask that injects life into a dull and tired complexion.While the anti-oxidant rich and anti-inflammatory face mask reminds you of your morning cup of Cofee and the irresistable Chocos,it literally "drinks" oils, toxic substances and impurities,exfoliates gently,acts on trouble spots and nourishes skin from deep within.Improves skin tone and texture with its incredible tightening effects.Use it in the morning on days when you’re feeling puffy and sluggish, and your day–and face–will instantly change. ChocoBrews brightens your complexion, it will also tighten it, revealing a more youthful you!Wake-up and Make-up,Wear ChocoBrews and Espresso yourself! Apply all over to a sleepy morning face,massage into face in a gentle, circular motion and leave on for up to 20 min. Wash off in shower,scrubbing VERY lightly over the skin while rinsing. Finally moisturize your face with a Natural Moisturiser. For sensitive skin try 5-10 minutes first. Disclaimer : Always test in a small area first for allergies. For best results use once a week. ChocoBrews is an ideal mask that injects life into a dull and tired complexion.While the anti-oxidant rich and anti-inflammatory face mask reminds you of your morning cup of Cofee and the irresistable Chocos,it literally "drinks" oils, toxic substances and impurities,exfoliates gently,acts on trouble spots and nourishes skin from deep within.Improves skin tone and texture with its incredible tightening effects.Use it in the morning on days when you’re feeling puffy and sluggish, and your day–and face–will instantly change. ChocoBrews brightens your complexion, it will also tighten it, revealing a more youthful you!Wake-up and Make-up,Wear ChocoBrews and Espresso yourself! Preparation & Usage : Simply take 1-2 tsp. of the mask and add 1/2 - 1 tsp. of your favorite liquid(Water,Rose Water,Milk,Almond Milk,Honey,Yogurt,Green tea, etc.) Mix until a thick paste is formed. 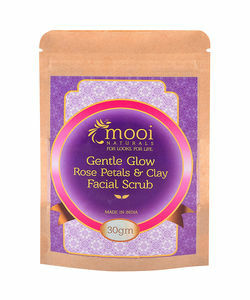 Apply all over to a sleepy morning face,massage into face in a gentle, circular motion and leave on for up to 20 min. Wash off in shower,scrubbing VERY lightly over the skin while rinsing. 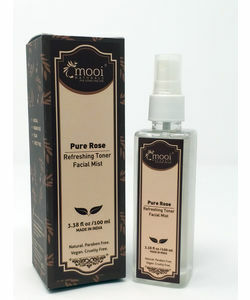 Finally moisturize your face with a Natural Moisturiser. For sensitive skin try 5-10 minutes first. Disclaimer : Always test in a small area first for allergies. For best results use once a week. All of Mooi Naturals products are vegan and cruelty free and do not contain either synthetic ingredients or ingredients of animal origin. Ideal mask for all skin types. Great Anti-aging & Detoxifying mask. This mask is brown in colour & smells heavily of chocolate. I seriously had hard time to resist myself of not eating this. This mask dries pretty quickly after around 15 minutes and I could feel the skin getting really tight & after washing it off I could feel that the skin has become soft and texture improved a little. Mostly my skin gets very oily and after applying this pack, the skin looked in good condition and toned and it was not oily at all. 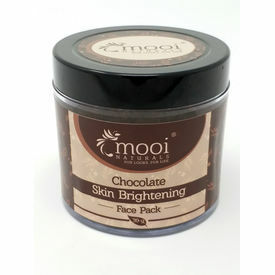 This face pack helps to nourish and rejuvenate the skin and gives clear face. It makes the skin bright and keeps it smooth and supple for a long time. 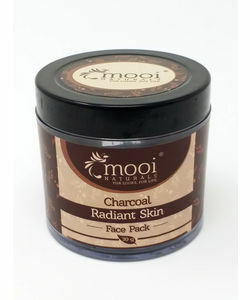 The consistency of this face pack is perfect, it spreads easily on the skin and does not make the skin dry and stretchy post application. It makes the face light and bright with regular usage.